Thrombotic microangiopathy (TMA) describes a set of disorders that are characterized by microvascular thrombosis, microangiopathic hemolytic anemia, thrombocytopenia, and organ damage, most often to the kidney. Though TMA was classically divided into hemolytic uremic syndrome (HUS) and thrombotic thrombocytopenic purpura (TTP) based on presenting signs and symptoms, advances in our understanding of the pathogenesis of different forms of TMA has paved the way for more specific classification of these diseases. For instance, we now know that TTP is associated with a deficiency in the activity of the von Willebrand factor-cleaving protease ADAMTS13. HUS can be classified as Shiga toxin-associated HUS, which typically presents in the setting of a diarrheal infection, or atypical HUS, which describes all forms of HUS without an obvious etiology, including those caused by inherited or acquired defects in the alternative complement cascade. TMA, in the context of cancer, can be divided into 1) cancer-related TMA, 2) hematopoietic stem cell transplant-associated TMA, and 3) anti-cancer drug-induced TMA (ACDIT). Cancer-related TMA is considered a consequence of the cancer itself. Hematopoietic stem cell transplant-associated TMA typically occurs following allogeneic transplantation in about 8-12% of patients. The pathophysiology is not clearly defined, but contributing factors include calcineurin inhibitors, prior chemotherapy, graft-versus-host disease, total body irradiation, hepatic veno-occlusive disease, and/or disseminated infections. TMA associated with chemotherapeutic agents (anti-cancer drug-induced TMA) can be classified as Type 1 ACDIT or Type 2 ACDIT. Type 1 ACDIT is associated with standard chemotherapy regimens (e.g., mitomycin C, gemcitabine, platinum salts, pegylated liposomal doxorubicin) and results from dose-dependent toxicity. Importantly, Type 1 ACDIT has increased potential for chronic kidney disease, morbidity, and mortality. 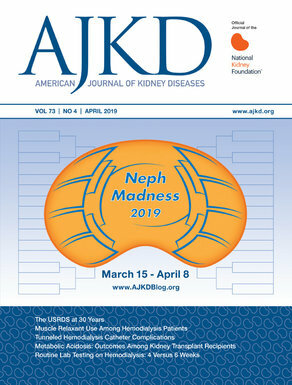 Type 2 ACDIT is associated with anti-VEGF therapies, does not cause kidney injury in a cumulative, dose-dependent manner, and is frequently reversible. Anti-VEGF therapies can be divided into monoclonal antibodies against VEGF (e.g., bevacizumab, aflibercept) and small molecule tyrosine kinase inhibitors of the VEGF receptor (e.g., sunitinib, sorafenib, pazopanib, axinitib, vandetanib). Interestingly, in a large series of patients with biopsy-proven kidney involvement during anti-VEGF therapy, intraglomerular TMA was more commonly seen with monoclonal anti-VEGF antibodies, whereas podocytopathies such as minimal change disease or FSGS were more commonly seen with the tyrosine kinase inhibitors. The initiating event in chemotherapy-induced TMA is thought to be drug-related endothelial injury; however, the precise mechanism for how different drugs induce this injury remains unclear. Cancer-related TMA and ACDIT can be distinguished by a few features. First, metastatic disease is more common in patients with cancer-related TMA (up to 90% patients), whereas patients with ACDIT have little or no evidence of active tumor. Secondly, patients with cancer-related TMA often present clinically like patients with TTP, whereas patients with ACDIT may have a spectrum of disease ranging from classic HUS to renal-limited TMA. Thirdly, disseminated intravascular coagulation (DIC) is a more common feature of cancer-related TMA, but is generally absent in ACDIT. Optimal, specific treatment of ACDIT is not well defined at this time. Management should consist primarily of supportive treatment. The offending agent suspected of causing the TMA should be promptly discontinued to prevent further progression of injury. If the offending agent needs to be redosed, caution should be taken to re-introduce the drug at a lower dose. Patients with severe TMA can be treated with corticosteroids, fresh frozen plasma, or plasmapheresis, but evidence showing a clear benefit of these therapies is lacking. Hemodialysis may be required to support kidney function until the patient recovers. In patients who do not respond to supportive treatment of anti-cancer drug-induced TMA, there are a few emerging therapies including rituximab, eculizumab, and recombinant human soluble thrombomodulin. As this very nicely written review points out, the ability of the clinician to recognize TMA in the context of the cancer patient, and differentiate between cancer-related TMA and chemotherapy-related TMA is critical to the institution of proper measures to prevent the progression of kidney injury. Useful info. Thanks for sharing this article. Good job. Can the drug plavix cause this disease to happen?